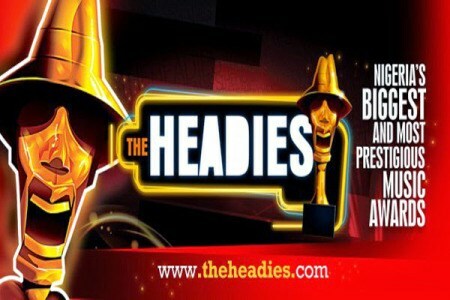 From the days of D’banj’s towel wielding performance down to Olamide and Don Jazzy’s deeply pained exchange of words at the 2015 awards which took place this year, the Headies Awards are famed for being a bit of a spectacle. The award show took place last night at the Eko Convention Center, Victoria Island, and of course it was plagued with its huge share of cringe worthy/awkward moments. Amidst shouts of joy, love and sheer gratitude, Wizkid, made his way to his reserved seat at the Headies award show but did that with some sort of epically produced 1:30 minute drama series. While making his way to his seat, Wizkid, stopped to greet rapper Eva Alordia, but in the process, brought down heavy torrents of embarrassing rain on Caesar, Eva’s boyfriend who stood up in all his glory with arms wide open and grin so wide you’d think he just saw his long lost brother, by snubbing him and hugging his calmly seated girlfriend, instead. The 26-year old singer, sure would win an award someday with this epic display of pettiness as he acted like Caesar was nothing but ‘Casper the freaking ‘maybe’ friendly ghost’. For every wardrobe change, the crowd and even viewers who spent their hard earned cash to buy fuel in this recession just to watch the show, had to endure seconds of weird heart beats loud silence [which mostly came from Ycee and Humblesmith] before the next award presentation. This is a true story, I basically, either got up to wee, stalked my ex online and even found time to listen to two tracks from Olamide’s yet to be released album, during these moments. This however was not due to the artistes boycotting the show, the truth behind this is that they arrived too late to be ushered to their reserved seats. Earlier editions of the award show, had always started late which was partially due t to artistes arriving late and delaying the entire show. No longer in the mood to accommodate their lateness, the organizers started the show without these artistes, broadcasting several empty seats to the world which made it look like the show was intentionally boycotted. Phyno’s song, ‘Fada Fada’ was awarded the ‘Song Of The Year’ but the singer was never presented with his trophy upon getting to the stage. In what little respect he still has for the organizers of the show, he simply said; “Me I no get speech o, Thank u for the award”.